Our community is blessed with a beautiful and bountiful environment in the South Lafourche area. 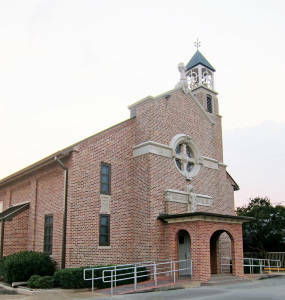 Our church parish is one of many belonging to the Diocese of Houma-Thibodaux. Once inside the church, we are greeted with a wooden sign reminding us of the community’s Cajun French heritage. It says “Je suis le Chemin, la Verite, et la Vie.” This translates to “I am the Way, the Truth, and The Life”. The Mission of St. Joseph's Parish is to be a loving community of people, who are formed by the Word of God and by the celebration of the Eucharist and the other Sacraments, and who reach out to all those in need.